I had a period in my life that I saw so many people on Instagram and Pinterest wearing the most beautiful lipsticks and I suddenly realized that I simply had to do the same. First of all, I have to say that I am not a lipstick person at all, I usually think I look older with lipstick or simply just trashy. I often use tints to get a nice shade on my lips that isn’t too much. I know that I am just insecure when it comes to lipsticks and I just have to try them out. I do have a problem with feeling products on my lips, I don’t want any stickiness or any dryness on my lips. Yes, I know this is weird but still that is just my preference. These are simply amazing. 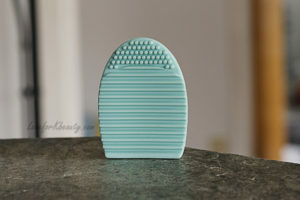 I really can’t find one thing about these that I doesn’t like. They truly have it all. 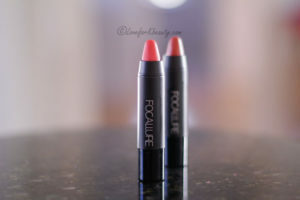 These Focallure lipsticks comes in a pretty and simple packaging which I really like. They also come in a pen form which I find easier to apply then a regular lipstick. I don’t were lipsticks very often, I always seem to forget when going somewhere. I really don’t know why that is because I really think lipsticks are pretty and makes the face more alive. I do consider myself not being able to find many shades that suites me and I really don’t know why. I guess that there are people who can rock off any shade and then there is me. For the prize you pay for them, they are simply amazing, all the shades have different formulas, and some a stickier then others. They all are quite drying to the lip, which is common for liquid lipsticks. I really don’t know why I got so many shades, maybe I was just curious to what this was, and if they actually work. I read so many reviews on them and I don’t think I found one that was negative, so I simply just had to try myself. These are nice lipsticks if you are a person who doesn’t use much lipstick but still want to have a lot of different colors. Or if you simply are a beginner and need some more colors to try out and play with. When ordering these it will be somewhat of a surprise since the colors doesn’t match the pictures at all. 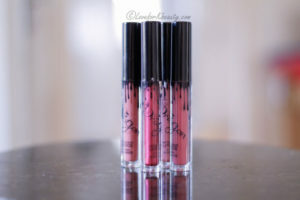 They look really soft almost balm like on the pictures, but in real life they are really opaque lipsticks.